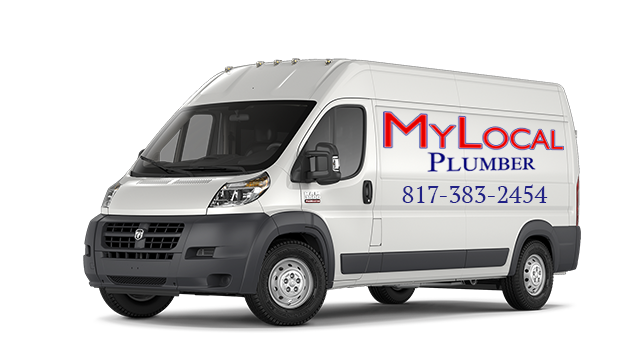 My Local Plumber has been servicing Fort Worth Texas and surrounding areas for years. If you’re dealing with even the smallest plumbing problem in your home, it can cause a lot of inconveniences. If you work from nine to five every weekday, you may wonder when you’ll find the time be able to get plumbers in to fix the problem. Luckily for you, here at My Local Plumber, we can provide all of our customers with a 24-hour service, seven days a week. You don’t need to worry about taking time off from work as we can come to you at a time that suits you the best. We’ve been an established company since 1983, so with three decades of experience, we can help you with just about any plumbing issues you may be facing. All of our employees are certified, trained and skilled so they can fulfill any of your plumbing needs. If you want to employ the best plumbers in Fort Worth Texas, you’ve come to right place. We are plumbing experts and can provide you with an unbeatable service. We carry out most plumbing repairs and installations. If you don’t see the service that you need on our list above, give us a call, and one of our friendly representatives can assist you. Many property owners don’t understand the importance of plumbing maintenance. When we carry out a tune up on your home, not only does it prolong the lifespan of your equipment, but it also allows us to detect any plumbing issues. Plumbing problems aren’t always obvious, and if you’re not an expert plumber, we won’t blame you for not being able to notice it. If we detect an issue with your plumbing, we can fix it there and then and prevent any further damage from occurring. Don’t skip out on your annual maintenance; it doesn’t just avert future costs for major repairs, it can also save you money on your water bills. Before we employ any of our plumbers or apprentices, they undergo a drug test and background check for your peace of mind. All of our employees are highly trained, experienced, skilled and reliable. You won’t find plumbers like them anywhere else. When you employ My Local Plumber, you can rely on us to get the job done, no matter what it is. We’re a company that you can count on. We strive for full customer satisfaction, and it’s something that we always achieve. When we come into your home, we treat you and your property with the utmost respect. We work hard to provide our clients with the best plumbing services in all of Fort Worth Texas and always arrive at a job fully prepared with all if the necessary equipment and tools. If you’re interested in any of the services that we provide, give us a call today on (817) 596-0309. One of our friendly representatives is available to talk to whenever you need us, and they’re always happy to assist you in any ways that they can. So, no matter what time it is, don’t hesitate to get in touch and receive an estimate or schedule an appointment.